NEXT: To code or WYSIWYG? 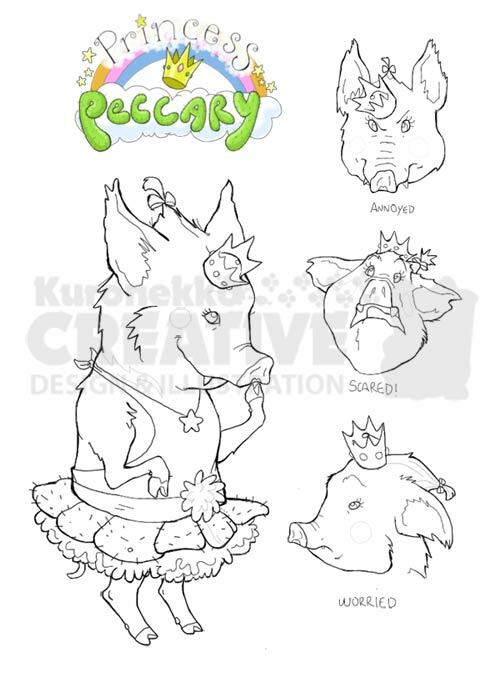 Here is my initial rendition of the main character of my project Princess Peccary. I drew this in the Procreate App using the Targus stylus. I plan on adding color after I get the line work down. Id like something that emulates the coat patterns of a real Peccary including the wiry looking hair. I also chose to put her in a cactus leaf tutu so she could be cute but also kind of quirky and funny. On the right are some studies of her various facial expressions. More to come. This entry was posted on Thursday, November 17th, 2011 at 12:15 am and is filed under Blog. You can follow any responses to this entry through the RSS 2.0 feed. Both comments and pings are currently closed.